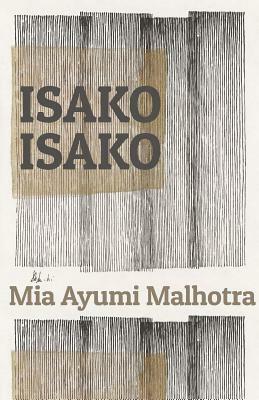 A poet who, as an MFA graduate of the University of Washington, once called Seattle home, Mia Ayumi Malhotra is here with her Alice James Award-winning debut collection, Isako Isako (Alice James Books). “Mia Malhotra labors in the mythic burdens and beauties of an ancestral story, delivering a vision that proliferates beyond the usual borders between generations, nations, or collective eras of psychic trauma. In these poems, haunted equally by historical event and the timelessness of human suffering, we find a stunning imagination at work on the sacred task of bodying forth, through an uncommon compassion, the stories that history might otherwise eclipse. The multiplicities here are deeply felt through the invention of the transgenerational consciousness of Isako–she who suffers recurringly all the bitter privations of war, starvation, exile. In lyrics that leap, stutter and start again, the reader feels Isako’s voice both across and poignantly through the confines of literal time and place. Malhotra’s poetry demonstrates what is still best in us, the counterpart to cruelty coming back in the surviving descendant’s intimacies and empathies, her innovations in language and, ultimately, love.” —Pimone Triplett. Reading with her this evening will be poets Gabrielle Bates and Jane Wong. Gabrielle Bates hails from Birmingham, lives here in Seattle, where she is managing editor of the Seattle Review, a contributing editor for Poetry Northwest, and social media manager with our friends at Open Books: A Poetry Emporium. She has had/will have work in the New Yorker, POETRY, Best American Experimental Writing 2019, and more. Jane Wong now teaches at Western Washington, and is author of the extraordinary debut collection, Overpour (Action). We can’t wait for whatever will come next.